Over 1,000 Exclusive Motivational Employee Gifts & Awards for Every Business & Every Budget. Give More with Gift Sets. Big Bang for any Budget. of high quality swag your team will love. Beautiful and unique executive gifts. 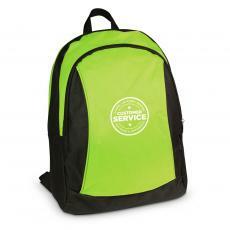 Staff appreication gifts in many colors and ways to customize! On All Our Trophy Awards. Choose from our inspirational messages or write your own. Show employees, colleagues, and clients your appreciation. 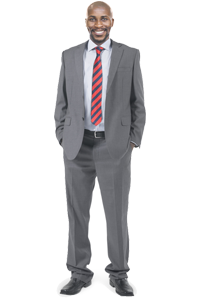 A style to match your work style. "I bought these for my staff as a random motivational gift. You can never inspire too much. It's the small things that most people enjoy, just to know that what they are doing on a daily basis does mean something to somebody." "Successories did a great job producing awards for us...right on time and right on budget. Great Customer Service, which is why we went back to them for the second year in a row. Aand will be back next year, too!" take long to get your order." "Excellent quality. Ordering was easy and the package arrived on the date I requested it to arrive by. Wonderful experience all around." 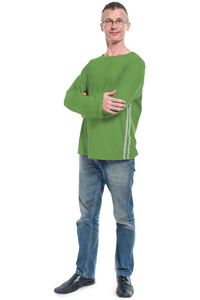 "I am a loyal Successories customer for many years. 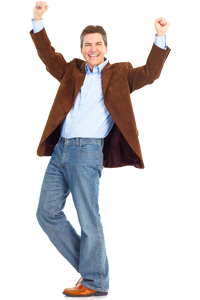 The products I view as perfect for me to instantly recognize associates"
"Thank you for a wonderful products and service!" Play Hard. Work Harder. Give your team the ability to destress, think creatively, and feel appreciated. Don't just say it. Show it. 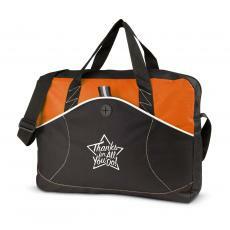 Our best selling thank you gifts are sure to wow your employees, clients and more. Our best-selling paper products, pens, cards & more. Communicate your values and make work fun. 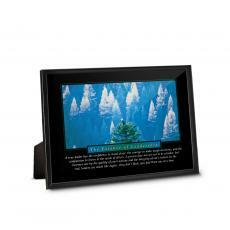 Our collection of executive gifts and personalized gifts are spectacular & professional while still budget friendly. Successories huge selection of exclusive employee awards are the perfect way to recognize every achievement. Here at Successories, the leader in motivational awards and gift products for 30 years, we are famous for our large supply of exclusive motivational posters and employee awards offered in a wide variety of styles. 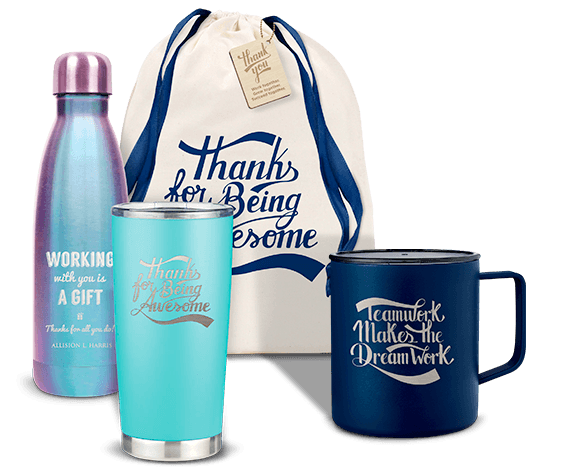 We have developed exclusive motivational gifts so businesses and organizations can easily motivate and show appreciation to employees, staff members, and clients. Our extensive and exclusive product catalog contains motivational decor, corporate gifts, employee awards & incentives for every business and every budget. Over the years we have developed a multitude of award styles and types, so you can buy awards that are perfect for commemorating success and recognizing achievements in a competitive work environment. With affordable custom awards from service awards to trophy awards and perpetual award programs, we are ready to supply you with the custom award of your choice. 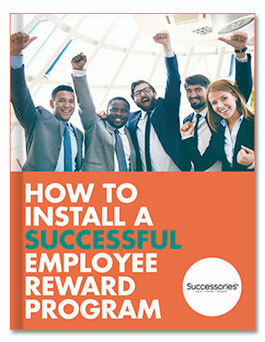 Many businesses have discovered the positive effects of implementing a recognition award system. An awards program can boost engagement and workplace morale. These benefits bolster the bottom line by increasing productivity and retention. Awards create a competitive environment as individuals strive to achieve their goals by meeting the standards you set forth with your business award system. When employees are recognized for their hard work with instant recognition, it reinforces the work ethic required of them and encourages them work harder and give a stronger effort. We absolutely love this award. I help staff a volunteer economic development corporation and when board members retire, we order this award for them. The quotation couldn't be any better and fits our group perfectly. The quality is fantastic and our city's logo is an oak tree, so its like the award was custom designed for us. I would highly recommend it, especially those in a service industryor volunteer organization. Employee recognition gifts are an important part of your organization's employee relations strategy. 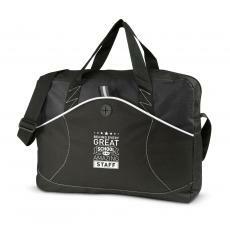 Successories specializes in employee appreciation gifts and products. Give employee gifts such as motivational desk accessories, fun motivational games & toys, and promotional products, our recognition experts are here to help. 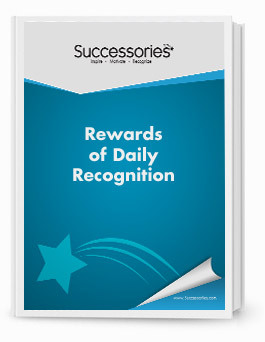 And don't forget our free recognition resource center where you can find videos, whitepapers, case studies and more about staff recognition. Corporate gifts are a great way to acknowledge clients and vendors, friends & family, outside of your organization. 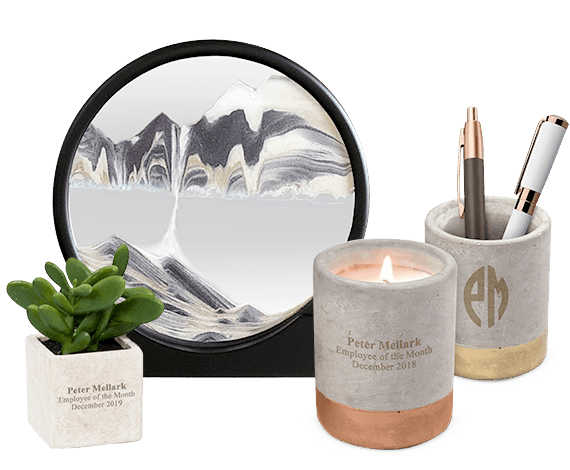 With custom personalized and logo-ed gifts, you can give a gift that re-enforces your brand while giving an appreciation gift that increases customer loyalty. 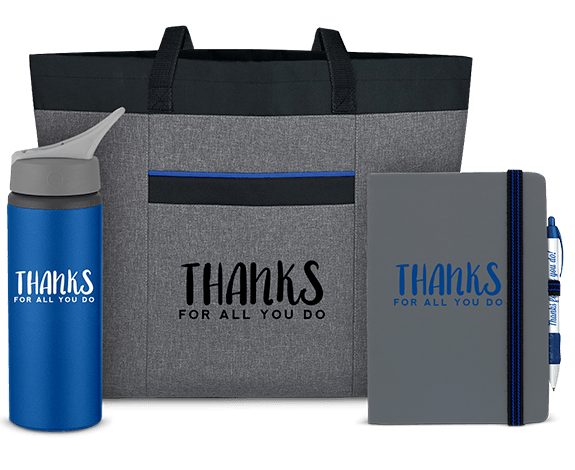 Recognize your leaders and management team with executive gifts and leadership gifts that communicate your appreciation and their contributions to your organization. Excellent birthday gift for a friend that works in regulatory compliance or law. Why is motivation & recognition important? Happy Employees are 20% more productive. 60% of employees are unhappy and want to quit their current job. 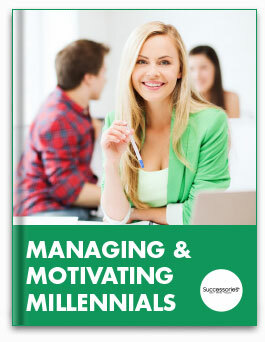 87% of workers are disengaged and less likely to be productive. 76% of people cite work as their leading cause of stress. 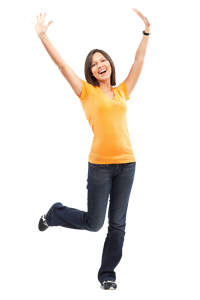 Employees who receive overt recognition are 20% more productive. Employees are 2x more engaged with overt recognition. Employees who receive overt recognition are 33% more likely to innovate. Years of Service Award increase Employee rentention by 2x. 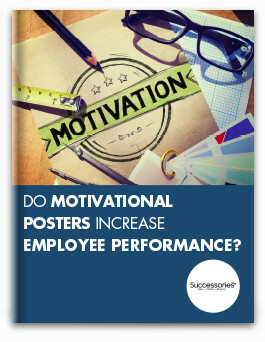 Studies show Motivational Posters increase productivity by 33%.